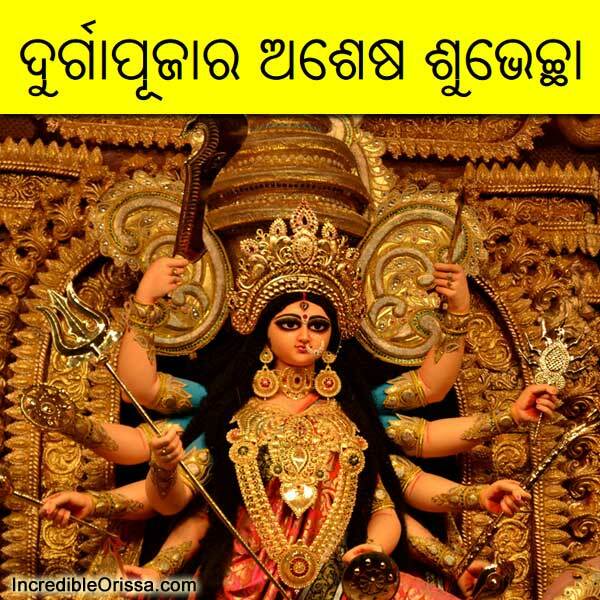 In Odisha, Durga Puja will be celebrated from 5th October to 8th October 2019. It is that time of the year when festivity, merriment and religiosity take over. With ‘cotton-ball’ clouds floating in the blue sky, the beat of drums mixed with popular melodies filling the air, and frenzied last-minute shopping, Odisha looks set to indulge itself in Durga Puja from today. Durga Puja is celebrated in two different ways in Odisha. In Shakti pithas, the Durga Puja is observed with proper rituals for 10 to 16 days known as Sodasa Upachara, which starts from 7 days earlier to Mahalaya called as Mulastami and ends on Dussehra. Goddess Durga is also worshipped by devotees in different pandals across the state. The pandals are decorated with beautiful decorative. Decked with exquisite pandals and beautiful light decorations, the Millennium City of Cuttack is all set to host the grandest festival of the season – Durga Puja. While artisans are busy completing the welcome arches, decorators have decked up every corner of the city with impressive lighting arrangements, thereby adding sparkle to the festivity. Organisers have spent a huge amount of money on innovative light works using LED lights. Be it the kids excited about their first pandal-hopping or youngsters decked-up in brand-new clothes, everyone has a sparkle of happiness in their eyes as the five-day festivity truly transcends the barriers of religion and transforms into a celebration of life. The festival of Durga Puja starts with Mahalaya, the first phase of the waxing moon in Aswin. Thousands offer prayers to their ancestors at the city’s river banks or secred ponds, a ritual called Tarpana. The inauguration of the Goddess idol starts on Mahashasthi. The main puja is for three days – Mahasaptami, Mahaastami, Mahanavami. The puja rituals are long and very detailed and complicated. Three days of Mantras and Shlokas and Arati and offerings – needs an expert priest to do this kind of Puja. Because of this, the number of Pujas privately conducted by families has lessened and Durga Puja has emerged as a community festival. Larger than life figures of Ravana, and other demons, are burnt on cold dark nights, with fireworks lighting up the sky, known as Ravan Podi on the day of Vijaya Dasami. Ravan Podi was started in the late 1980s by the Sahid Nagar Durga Puja Committee, and since when, more than 30 ravana podi have been organised by different puja pendals in Bhubaneswar and Cuttack. The largest Pujas held in Odisha’s Bhubaneswar, Cuttack, Balasore, Sambalpur and Rourkela cities.